It’s pretty common knowledge that our household is cauliflower-obsessed and leeks are something I always have on hand. It goes without saying, we are veggie eaters! If you have veggie eaters in your house, this one couldn’t be any easier or more delicious and nutritious! Enjoy! Watch how easy this is… Preheat the oven to 425 degrees. 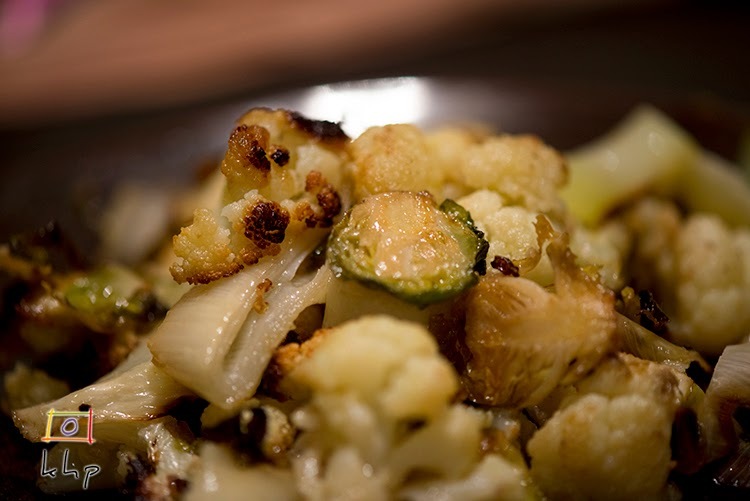 Give a rough chop to the leeks and cauliflower. Shave the brussel sprouts. Fully coat the veggies with olive oil and sprinkle with salt and pepper. Spread them evenly out on to a baking sheet and bake for 30 minutes. Stir them, then put them back in the oven for another 30 minutes, then serve with Roasted Chicken or your favorite protein! Enjoy!